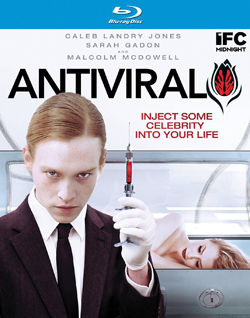 Read my review of Antiviral, which hit the streets earlier this month, only at Slant Magazine. This entry was posted in film, movie reviews and tagged Antiviral, blu-ray, Brandon Cronenberg, Caleb Landry Jones, david cronenberg, MPI Media Group, sarah gadon. Bookmark the permalink.